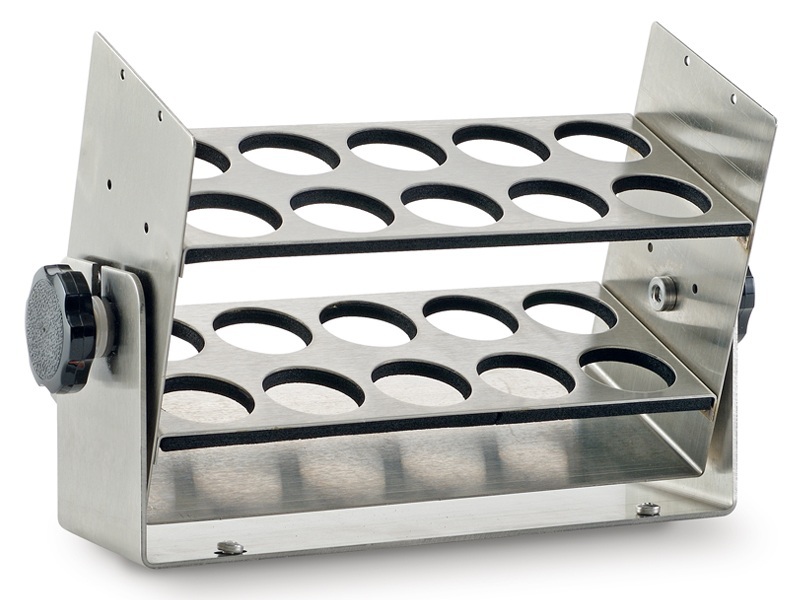 The Infors Celltron Orbital Shaker is specifically designed and built to perform in CO2 incubators. The Celltron has minimal power consumption of 4 watts, which means that it does not dump large amounts of heat into the incubator, so temperatures are not distrupted. While the Celltron is inside the CO2 incubator the magnetic touch controller is outside, allowing the user to get an overview of the operational status at all times. The controller and the Celltron are connected with a flat cable that slips between the incubator door seals. 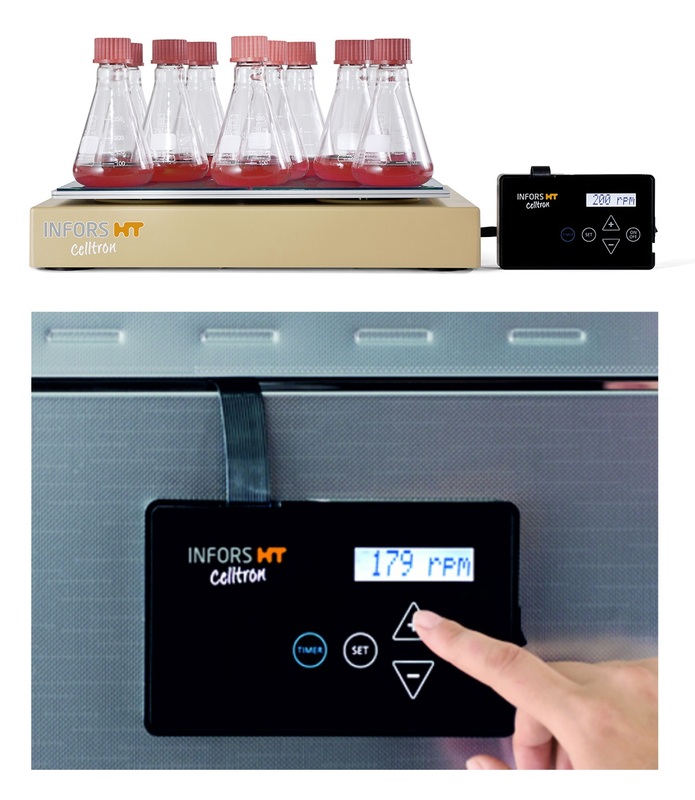 The Celltron is made to operate in the environment typical of a CO2 incubator. It also has an antimicrobial surface and is constructed of materials that will not rust, corrode or break down after lengthy use. An Infors Sticky Stuff adhesive mat enables the ATF Universal Platform of the Celltron to be used flexibly with various flask sizes. 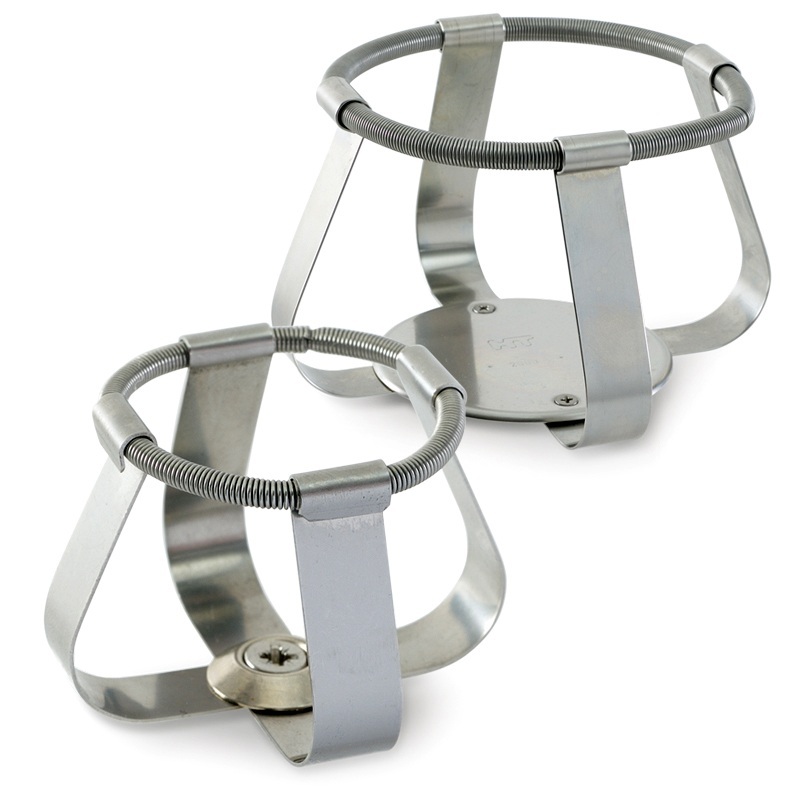 Even adhesion at temperatures less than 60 °C, without the need for flask clamps. A universal platform without Sticky Stuff and Flask clamps are also available if needed, as well as dedicated trays, trays with roller clamps and trays with holders for microtiter plates.